I hope everyone is having a happy Friday. My good furiend Lincoln has many special needs cats in his home, and one of them is Rajah, who was found with what was thought to be tar over his eyes. As it turned out, it was not tar, but the secretions from his condition. He is doing much better. Rajah underwent surgery to have his condition addressed, and went back to the humans in white coats to see how he had progressed. The news was good! When Rajah had his surgery done, the humans in white coats said that it was likely that his outer eyelids would reattach and that additional treatment would be required. But fortunately for this special needs cat, that did not happen. Rajah had corneal ulcers, which have completely healed. The humans in white coats were able to see into the back of his eyes, and they respond to light. 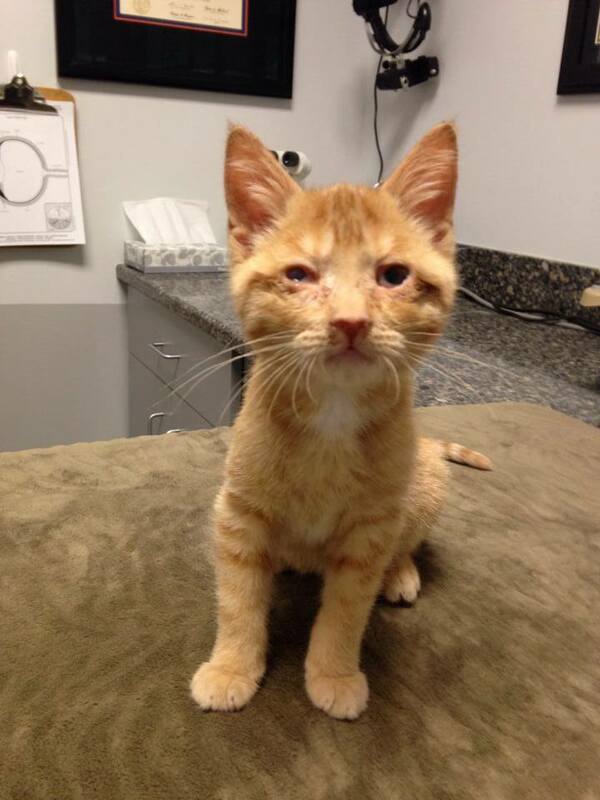 This tough ginger boy has vision in both of his eyes, which is something that was not expected when he was first found. But Rajah will always be a special needs cat. You see, we felines have three eyelids. You humans do not normally see the third eyelid because it only shows up when we are sick. You humans also have one, but it is very small. That makes you unusual among the animal kingdom! 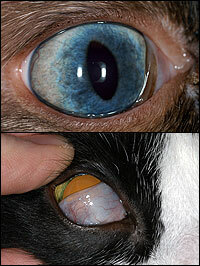 With Rajah, the third eyelid, which normally retracts, has permanently attached to his cornea. The humans in white coats believe that attempting to address this would only cause more harm. This means the Rajah will always be a special needs cat because his eyes will need extra care. But he has come a long way from where he was when Tenth Life and Lincoln’s human started caring for him. Remember, his eyes were thought to have been covered with tar. As it turns out, those were secretions that had dried over his eyes. Rajah coming from a point where the secretions over his eyes were so extensive that they were thought to be tar to where he is now is great progress. Let’s hope there’s more of it for this brave ginger boy. What a relief it was not an act of cruelty and tar! This ginger prince is adorable and fortunate to have been helped by the pawesome Tenth Life. They are amongst my favorite rescues for all they do to help special needs cats like some of my babies and you. Paws up for Rajah and much continued success in his recovery and in finding a forever family.